Apart from ozone, nitrogen dioxide and sulphur dioxide, particulate matter (PM) is another common urban air pollutant. 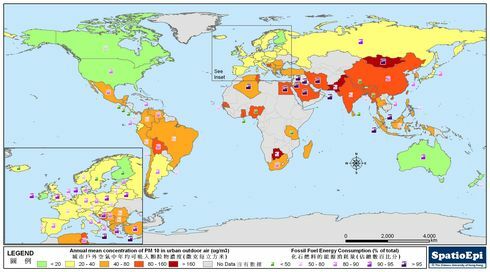 The map shows the mean annual exposure to PM10 in urban population and the proportion of fossil fuel used in national energy consumption. 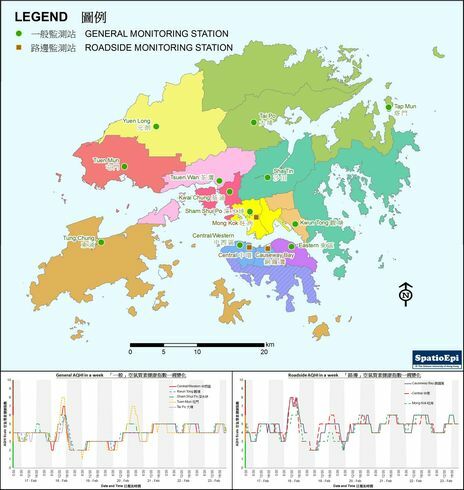 As depicted by graduated colours, the concentration of PM10 in outdoor air was higher in Asian urban areas. Of these, some were from countries with high dependence on fossil fuel, as indicated by coloured symbols. 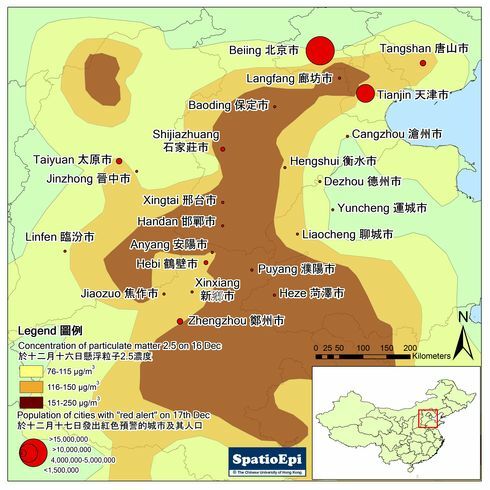 According to World Health Organization guidelines, the air quality standard for annual average of PM10 is below 20 micrograms per cubic metre. Cities achieving this standard were however limited to those in North America, Oceania and a few countries in Europe. In addition to developing cleaner fuels, energy saving through lifestyle change and enforcing air quality regulations are two feasible ways to change the current situation. 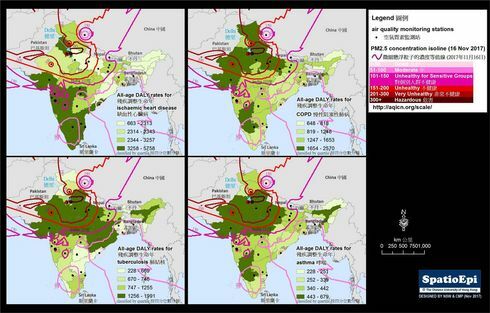 The data for the map were obtained from World Health Organization and International Energy Agency.